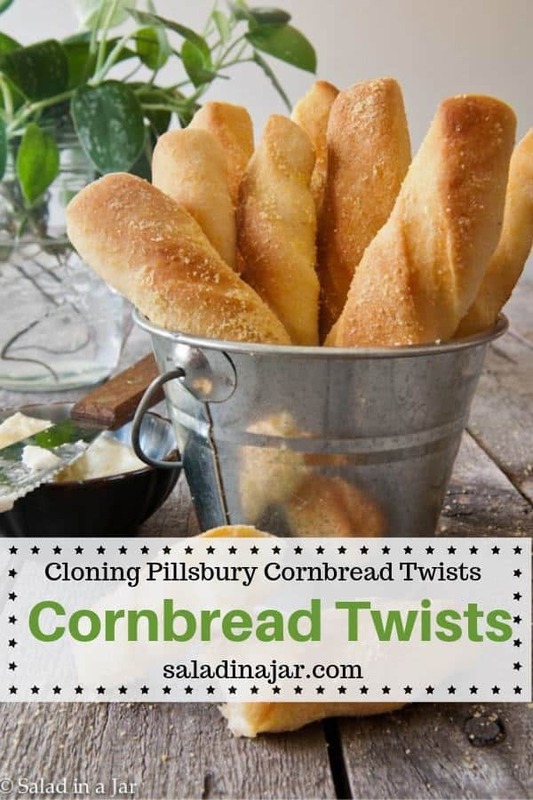 Cloning Pillsbury’s Cornbread Twists, will show you how to use a Jiffy cornbread mix, flour, and yeast to make rolls similar to the now-defunct Pillsbury Cornbread Twists. 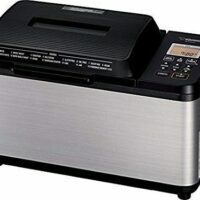 The recipe is written using a bread machine for the mixing and kneading phase, but you could also use a stand mixer or make them by hand. Whenever I make vegetable cheese chowder or chili, I need cornbread of some sort on the side. Can’t have one without the other. Pillsbury used to sell canned cornbread twists, similar to their breadsticks that come out of a refrigerated, unwrap-then-pop-on-the-counter-and-watch-the-dough-fly-out kind of can. But, they seem to have disappeared. Not sure how that happened. Understand I’m not saying the cornsticks were a culinary marvel, but my family and I had developed a taste for them. So I set out to come up with a reasonable substitute. Jiffy cornbread mix to the rescue. These inexpensive mixes are always in my pantry. If I’m going to eat cornbread on its own, I make it from scratch. Otherwise, Jiffy will suffice. But you need more than a regular cornbread recipe to imitate cornbread twists. Adding yeast and flour ensures the texture will be soft and chewy. Rolling the twists in butter, then cornmeal, gives a crispy, crunchy crust that goes oh so well with soup. I don’t always coat the twists, but it makes them more authentic if you do. 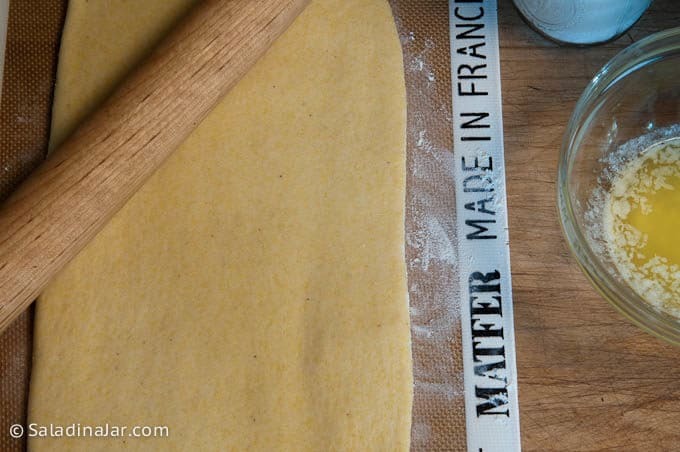 Only 5 ingredients are needed for this yeasty delight. It’s not as fast as opening a can, but this recipe isn’t that complicated, either. I considered making the whole recipe from scratch. 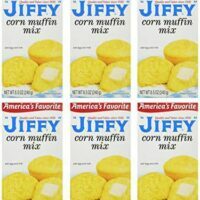 However, there’s something in the Jiffy mix that makes these cornbread sticks taste more authentic. Remove dough from the bread machine to a floured surface. Form into a ball. Roll into a large rectangle approximately 15 x 8 inches. Use a pizza cutter or knife to cut in to 3/4-inch strips. Then, cut all strips in half right down the middles. You should have around 30 twists. 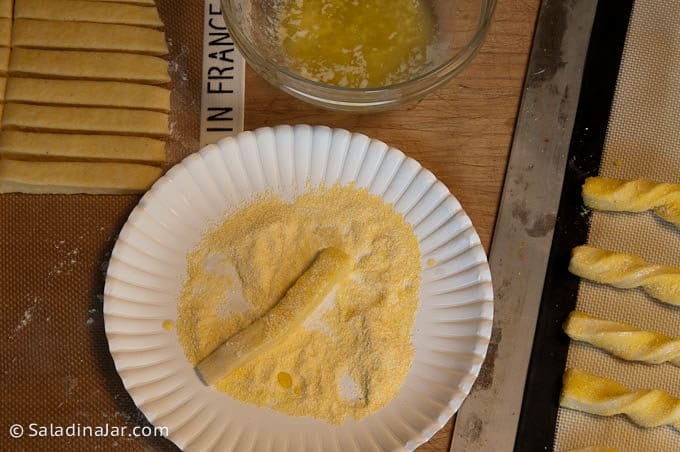 Roll each strip in melted butter, then cornmeal. 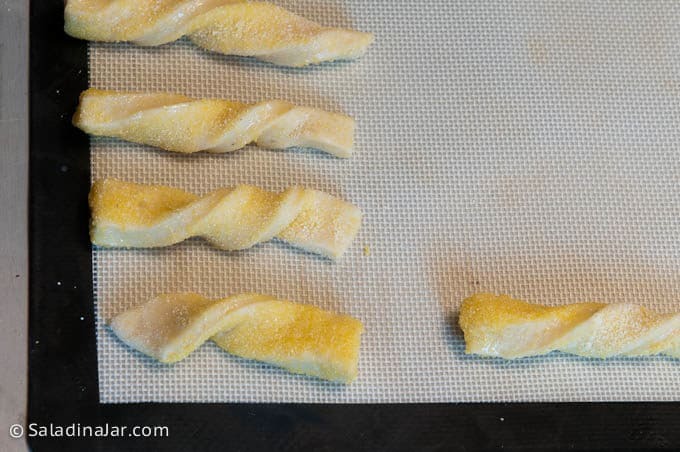 Twist each strip as you place it on a cookie sheet. Bake at 375 degrees F. for 12-15 minutes. Heat milk to lukewarm. Add to bread-machine pan along with the egg, cornbread mix, flour, and yeast. Set on "Dough" cycle. 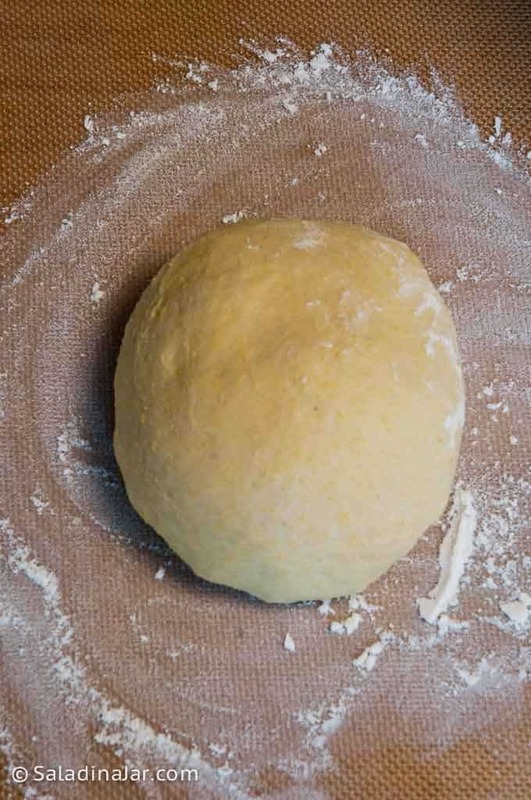 When complete, remove dough to floured surface. Roll into 15 x 8-inch rectangle. Cut 3/4-inch strips the short way. (See picture above.) Dip in butter, then cornmeal, if desired. Knock off excess cornmeal. Twist and lay onto greased cookie sheet or silicone mat. Don't crowd. I use two cookie sheets. Cover twists and set in warm place to rise about 30 minutes. Bake 12-15 minutes until golden. To make in a stand mixer, add all ingredients in order given. Add an additional tablespoon of milk. Mix on low for 1 minute with paddle attachment. Change to hook attachment and knead at a low to medium speed for 7-10 minutes or until elastic and dough cleans the bowl. Cover dough and allow to raise in a warm place until double. Proceed as pictured above. Mine didn’t turn out as beautiful as yours did & I didn’t have cornmeal to roll them in but I’ll come prepared the next time, & there will be a next time. Do you think the dough will freeze? Guess I’ll make bread pudding out of the leftovers. I have never tried freezing the dough but I’m not optimistic about the idea. Glad you liked them and thank-you for writing. I also have been looking for the cornbread twists in the can. They were a nice cross between yeast rolls and corn muffins. I was so happy to find your website. Thanks! 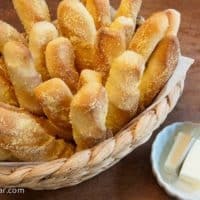 Paula, are you using unbleached bread flour or unbleached all-purpose flour for these twists (and those in the Swirly Dogs recipe? 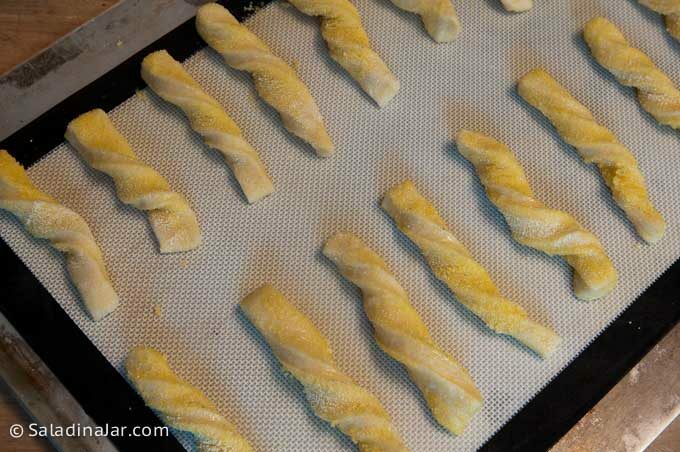 The Swirly Dogs are on my cooking schedule to make in the next few days as a surprise for my grandsons. How would you make these from scratch? 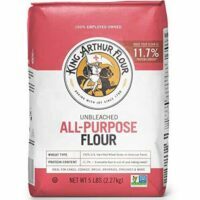 Because of my daughter’s hypoglycemia, I have to make everything from scratch w/ whole grain flours but I can’t figure out what quantities to use to mimic the Jiffy mix. I’m going to try it! I use to use corn bread twists for special dinners. Thanks to you I will be able to make my own and cheaper. I used the unbaked twists by wrapping bacon that I fried around each twist and roll in brown sugar with pepper then bake them 20 minutes. They tasted so good. Thank you again. I’ve just started making the cornmeal twists and it looks like there will be lot of extras. Do you freeze them before or after you bake them? Thanks for the wonderful recipes. So glad to hear about the yogurt. I freeze my cornbread twists after baking. 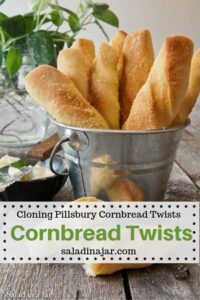 Years ago Cooking Light had a summer tart recipe that used the Pillsbury cornbread twists for the crust. My daughter was a vegetarian and we loved this tart. Hated it when Pillsbury stopped making them. I have tried numerous receiptes to replace that crust but, so far, nothing has tasted right. I look forward to trying your recipe and seeing how it works. Summer is the season for it. Hope you like it Jo. If you come up with something closer, be sure to let me know. We really enjoy the “corny dogs” I make with this dough. Those look devine, can’t wait to make them. 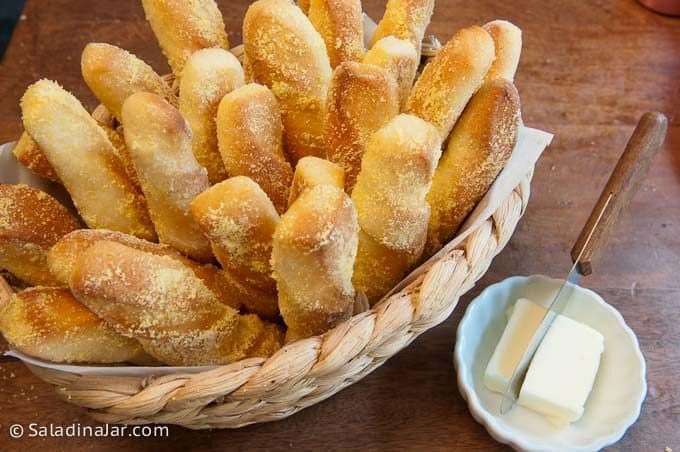 Yum, I had not tried the Pillsbury bread sticks you cloned but these ones do look great. 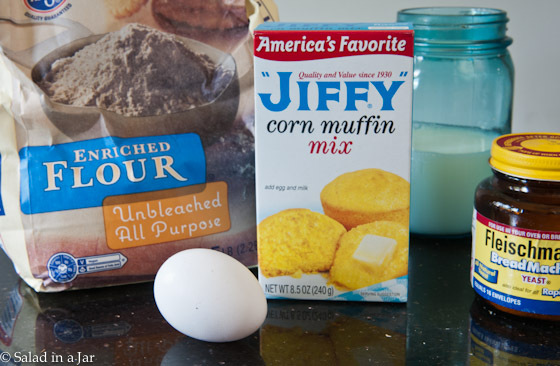 I am a fan of Jiffy cornbread mix though so I need to make these. Sorry I am behind at commenting I do read your posts through email though. I cried when I found out Pills did not offer the cornbread twists any longer! Was a great addition to my brunswick stew. Thanks so much for this! I’ll enjoy every bite. 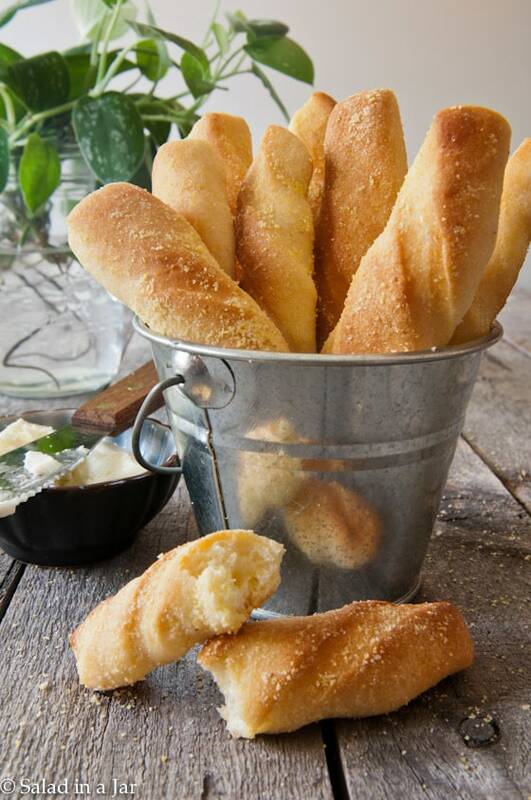 Looks great and delicious … as do the other breads down the sidebar. I just bought two Jiffy mixes the other day. I hadn’t bought them for years, but I just had to buy them. Now, I know why! I’m making these, they look terrific. Oh, Paula, thank you! I loved those cornbread twists. Where did they go, indeed? Now you have given me this recipe just in time for winter soups/stews/chili’s! Thanks! In photo 4 it looks like you cut the dough again to make short strips. Which way is better? Phyllis, You are right. The short strips are more like the way Pillsbury did them. I don’t cut them if I’m going to make corny dogs. More about that in an upcoming post. I don’t think I’ve ever seen this cornbread mix around here. Such a pity as your twists look very appetizing. Love your photo tutorial. Paula, I haven’t tried it with any other cornbread mix but I suspect it would work with any of them. Jiffy is nothing special, really. The next time I make them, I will use a different mix and see how it goes. Very good! Very close to the taste of the canned, but texture a little different. Overall, good, tasty and easy. Next time may try dusting with a little Parmesan cheese instead of the cornmeal. Thanks for the recipe. I forgot to mention….I have been wrapping these twists around hot dogs just like we use to do the ones out of a can. They are so good, kids love ’em, and they freeze wonderfully. I’ll be blogging about those in a few weeks. I made these today because I loved the kind in the can. I was so disappointed when they stopped making them. I loved them with soups or stews. I’m about to pop these in the oven. So far, very easy. Will update. 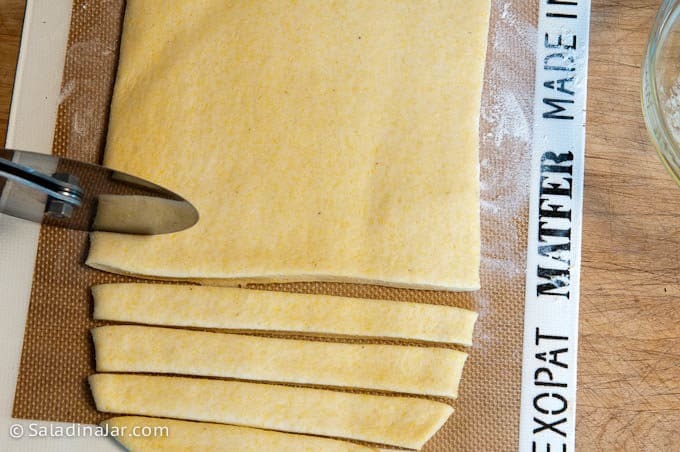 Is bread-machine yeast the same as regular yeast in a packet? Can they be used interchangeably? Your photography is stunning. Gary, The information below is copied from http://www.breadworld.com/faq.aspx. 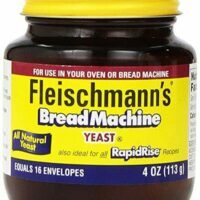 What is the difference between fast-rising yeast (RapidRise/Bread Machine Yeast) and Active Dry Yeast? RapidRise and Bread Machine Yeast are different strains than Active Dry Yeast. RapidRise and Bread Machine Yeast are grown with a higher level of nutrients and are dried to lower moisture content. The particle size of RapidRise and Bread Machine Yeast are finely granulated to allow complete hydration of the yeast cells during the mixing process. The Active Dry Yeast larger particle size should be dissolved in water to achieve complete hydration prior to adding to the mixer. In addition, RapidRise and Bread Machine Yeast contain ascorbic acid resulting in increased loaf volumes. My takeaway from this is that you would need to use a little bit more and dissolve it in warm liquid first. It’s not as easy to use as bread machine yeast. I don’t remember ever having the cornbread twists but your recipe sounds really good! Thank you. I never had the Pillsbury twists but your recipe looks fantastic! Easy with ingredients always on hand too! Thanks for sharing!